Ugh, right in the feels. This book is like an espresso – small but intense. I read this in 2 days (but I could have read it in one sitting, were it not for life getting in the way…). 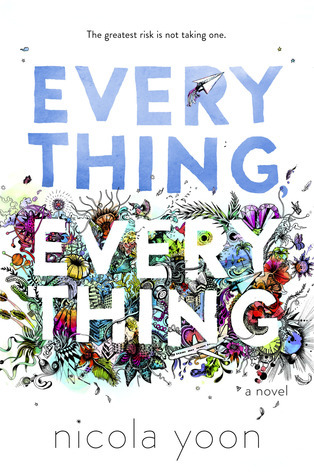 Everything, Everything has been on my TBR for quite a while now, so after I went on a mini book shopping spree last week I finally got my hands on it. But boy oh boy, this book did not disappoint. There was a cute romance that took me on a roller-coaster ride, fun illustrations, and believable characters, all wrapped up in a rather original plot. What more could I ask for? The only reason why I’m not giving Everything, Everything a 5 star rating is because it’s too short. I wanted to spend more time with the characters, that’s all. Other than that, a great read! I love this book too! Are u looking forward to the movie 😃? This book got me out of a really bad reading slump! I really enjoyed it and the illustrations were cute but honestly? I thought that the plot twist was meh.